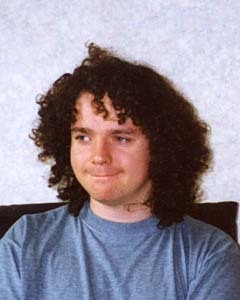 Postal Address: Prof. David Gregg, School of Computer Science and Statistics, Trinity College Dublin, Dublin 2, Ireland. Deep neural networks (DNNs) are one of the most successful machine learning software technologies in recent years. For example, researchers use convolutional neural networks (CNNs) in pedestrian detection systems deployed in cars to avoid collisions. DNN technology is most useful when it can be deployed in mobile, wearable and robotic systems. However, DNNs require very large numbers of matrix operations which is not a good match for battery-powered systems where the key performance metric is energy. Both the large number of arithmetic operations performed, and the large quantity of data moved between the processor and memory during computation consume large amounts of energy. This project aims to make modern machine-learning such as deep neural networks feasible on low-power embedded systems. Our approach includes efficient software support for low-precision arithmetic, program generators for key machine-learning codes, compiler optimization techniques that are beneficial for these codes, exploiting underlying mathematical identities to reduce computation, and custom hardware acceleration. The ideal candidate should have a good bachelors or masters degree in computer science, computer engineering or a related field. They will be interested in one or more of software optimization, parallel programming, GPU programming, compilers, computer architecture, and machine learning. They will have strong programming skills, and preferably have experience of programming in C or C++. We need someone who is positive, enthusiastic and can work with other people in the group. Good written English is important. Existing experience of writing technical or scientific papers would nice, but is not essential. The candidate should be excited about the prospect of research, completing a PhD, and publishing novel research results that impact on the field. The PhD studentship is a full-time position and the successful candidate will develop their research in a shared lab/office with other researchers. Our research group maintains close links with industrial research labs and there may be opportunities to spend time at one of these labs during the PhD. Trinity College Dublin is Ireland's oldest research university (founded 1592), and one of only twenty-three members of the prestigious League of European Research Universities (LERU). The university has a 47-acre (20 hectare) campus right in the centre of Dublin. Trinity offers a broad range of societies, sports clubs and other activities for staff and students. The expected starting date for the PhD is March 2019, but there may be some flexibility to start earlier or later. The studentship provides an annual sum from which tuition fees are paid, and a monthly stipend is paid to the student. Due to the high level of tuition fees for non-residents of the European Union (EU), unfortunately the stipend is likely to be sufficient only for those who have worked or studied within the EU for at least three of the last five years. To apply for the studentships, please send a CV to Prof. David Gregg at Trinity College Dublin. I'm a professor in Computer Science at Trinity College Dublin. My current research deals with low-resource techniques for deep neural networks, compilers, algorithms, and software optimization for multicore and vector computers. With current affiliation where known. Junior Academic Progressions Committee, 2015-. SCSS Strategic Planning Group, 2015-. Head, Discipline of Software Systems, 2014-. MSc in Computer Science Course Review Committee, 2014-2015. Course Director, Structured PhD Programme, 2011-. School Research Studentships Coordinator, 2011-. Computer Science Programme Course Committee, 2011-. Structured PhD Programme Review Committee 2011. Coordinator of Research Methods programme for Postgraduate Research Students (with Prof. Remenyi) 2007. Representative of the junior academic staff on the Executive Commitee of the School of Computer Science and Statistics, 2005-2007. Department of Computer Science PhD Workshop 2003-2006. New PhD students' introductary event 2004-2006. Coordinator of the "20/20 Vision Group" on the long-term future of the School of Computer Science and Statistics 2005-2006. An auto-generated list of my publications can be found from here. You can also check out my DBLP page, or an older and less complete list of some of my publications can be found here. I am a member of the European Network of Excellence on High Performance and Embedded Architecture and Compilation (HiPEAC).